Mekong Exotique tour will take to you new experiences at Mekong Delta with many interesting activities. You will be surprise when visit floating market, interested in bee farm, frog farm, and orchard. through lush vegetation to visit an ancient house, orchards, a brickyard and a bee farm. 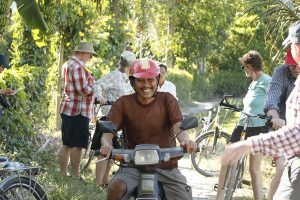 Jewal Mekong tour has many exciting activities which combine with multiple vehicles for visiting such as visiting floating by boat, walking to visit the local coconut candy and rice paper manufactures, brickyard, and orchard. Through intimate conversations with local people will bring you to the authentic and landscapes at Mekong Delta. 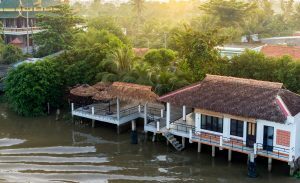 Explore Mekong Delta “đồng bằng sông Cửu Long” (“Nine Dragon river delta”) holidays and discover the best time and places to visit.